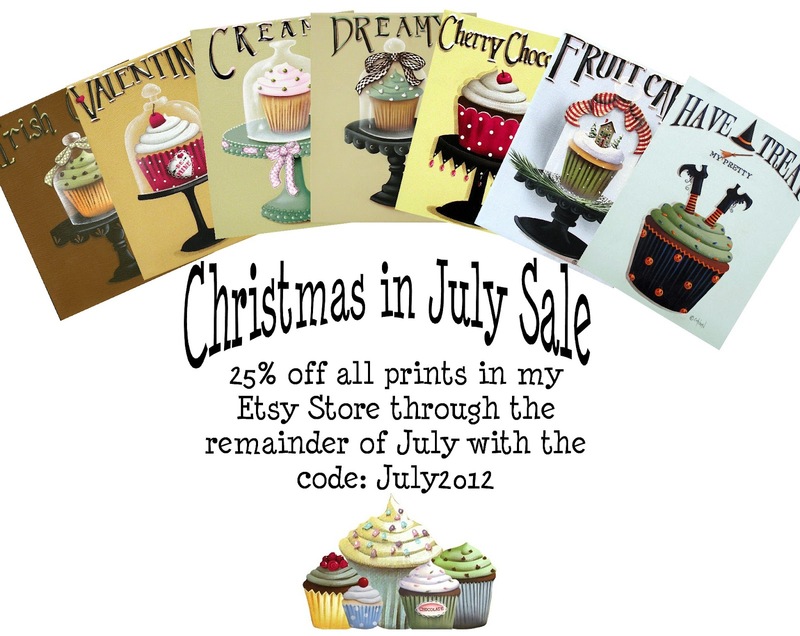 Decorate your kitchen, cupcake shoppe, or bakery now with our "calorie free" cupcake prints and the discount you've been waiting for. This sale includes all prints in my Etsy Store! You'll drool over these tempting treats and not gain a single pound! Now that's a deal! However, the mere looking at them would cause me some grief. You just don't know how much weight I've gained by visiting you! LOL! hi hi, with that cupcake- pictures in the kitchen, every diet will be a real torture. Oh, what a great sale! I'll go look and see what I don't have! heehee! Love your beautiful art! They would me! I would be baking up a storm just looking at them! All your different seasonal cupcakes look so cute together Catherine. I love the ladybug cupcake from the below post...I love painting ladybugs on pendants...they are so much fun.